These popular events are perfect for corporate clients, incentive groups, school or family reunions. We incorporate the best of our participation classes and challenges with fun, humor and friendly competition! 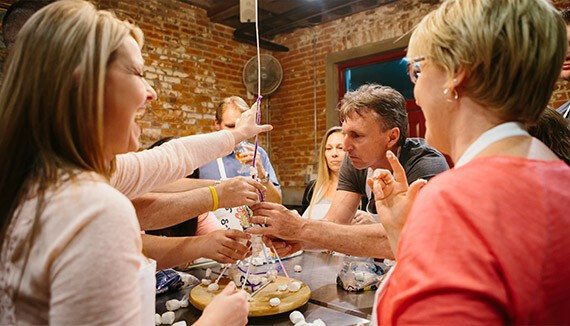 These New Orleans teambuilding events are a company outing favorite. Our chefs will masterfully and delightfully guide the competitors through rounds of competition in which they must prove their culinary skills, intellectual prowess and their ability to pull together as a cohesive teambuilding unit. The competition can get tough, but the atmosphere always remains fun and humorous. Our version of 'Chopped'! 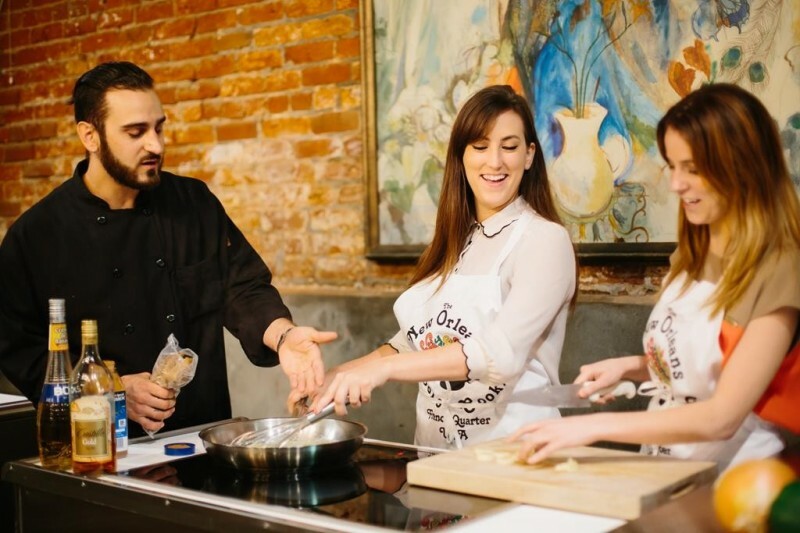 Each team is given secret ingredients and access to a pantry to create the tastiest appetizer and entrée... Chef will be left to judge! Use a pantry of ingredients, teams will set out to create the perfect gumbo. 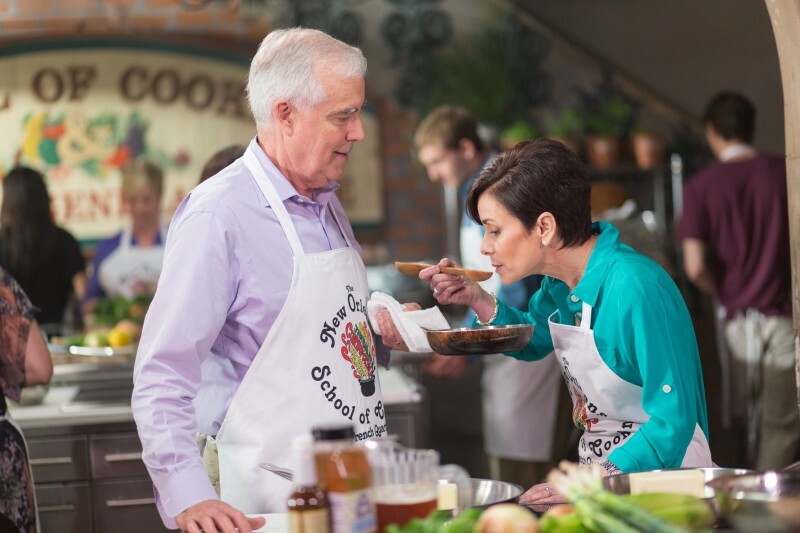 The only instruction will be the Chef's demonstration of a roux....the rest is up to you. During these teambuiling events one of the teams will be declared a winner based on points accumulated throughout the event. Points are based on: Presentation, Use of ingredients, Teamwork and Taste. 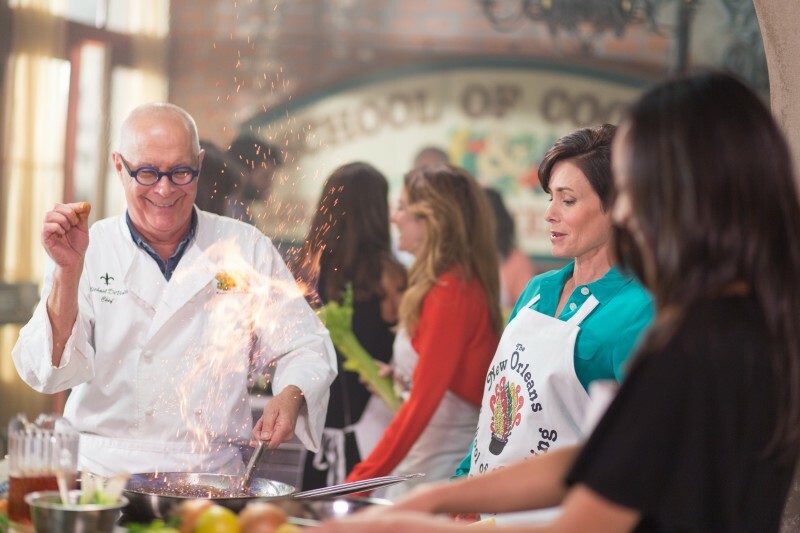 At an additional cost, the New Orleans School of Cooking can provide door prizes that will be awarded to the individuals with the "Best Effort", "Biggest Disaster" and the "No Clue" award. Please see our online store for award / gift ideas! If you can’t come to us, we’ll come to you! Convention centers, hotel meeting rooms and other private venues may provide a more convenient setting for your group. 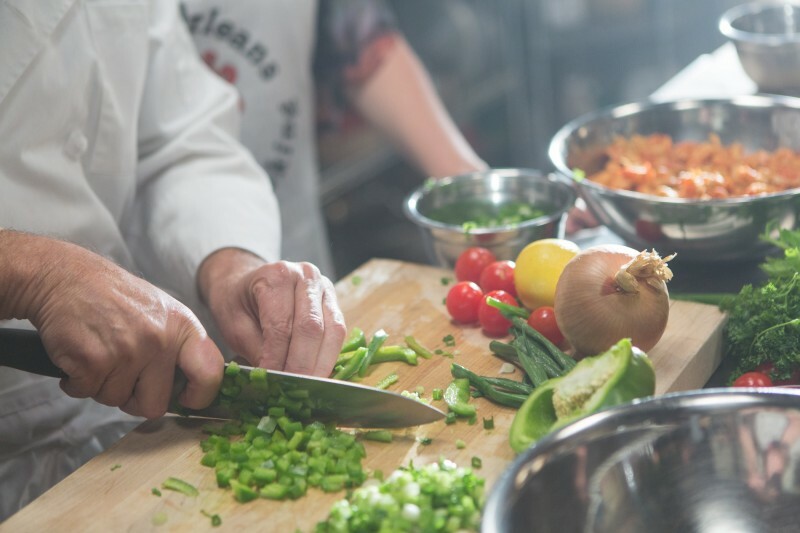 We offer off-site hands-on classes, demonstration classes, teambuilding events and entertaining chef demonstrations. These popular events are perfect for corporate clients, incentive groups, school or family reunions. We can also travel to any city to host your event! 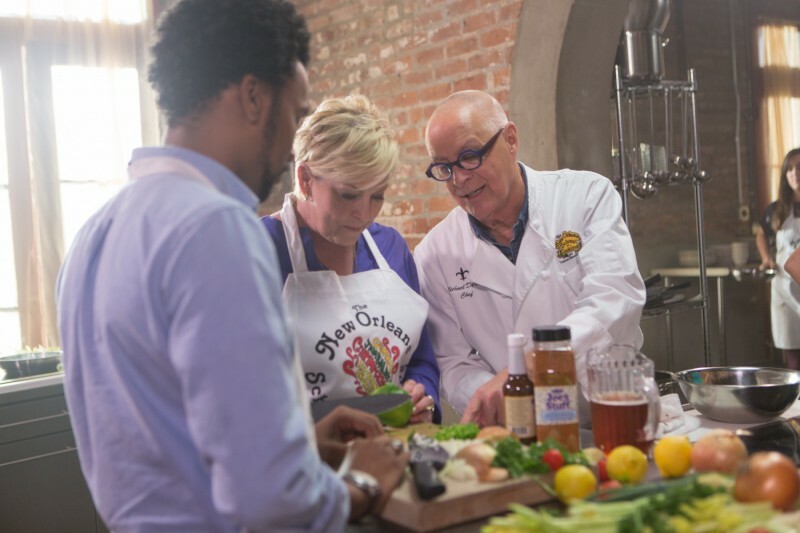 Contact our special events office with the time and place of your choice, and we’ll bring the flavors and fun of New Orleans to you!